Hello Challenge Participants! How is your November challenge going? Have you found something wonderful? Please share! I admit that I haven’t gotten very far with my book choice (The Jane Austen Project by Kathleen Flynn). 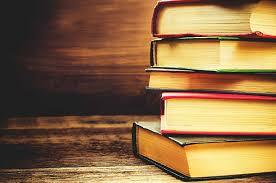 It’s just not compelling me to read it – although when I do pick it up, I find it interesting. Hmmm. Well, I haven’t given up on it yet! However, I have fulfilled the November challenge – I’ve been watching Outlander. It’s quite possible I’m one of the last people to do so, but this way I can binge watch it (as time permits) I’m halfway through the first season and, while I haven’t gone completely head over heels for it, I do like it a lot. 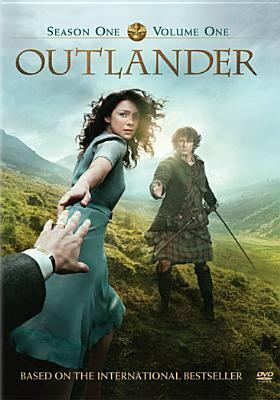 Outlander is about an English Army nurse in 1945 who, while on vacation in Scotland with her husband, steps through a stone circle and is transported to 1743 Scotland, It’s a dangerous and volatile time period when the Clans of the Highlands are in constant conflict with the English. Even more so when you’re an Englishwoman alone and lost and confused. Watching Claire navigate this slippery path (and making several missteps) is fascinating. It’s also an in-depth introduction to Scotland during this time period, far beyond what a history book can teach, and of a way of life that was nearly wiped out. The costuming and scenery are spectacular (although, good heavens, it rains a lot!) and the story lines are interesting and often very suspenseful. I’m looking forward to watching more of the series! Here are a few more movie recommendations for Alternate History. Groundhog Day starring Billy Murray and Andie McDowell. OK, who hasn’t seen this? And who doesn’t love watching it again and again? It never gets old with comedic genius Murray playing arrogant TV weatherman Phil who is doomed to repeat the same day over and over until he gets it right. Spoiler alert: it takes awhile. Big starring Tom Hanks and Elizabeth Perkins. An encounter with a mysterious carnival fortune-telling machine grants Josh his greatest wish – to be big. Suddenly forced to navigate the world as an adult but with his teenage personality intact is both hilarious and poignant. Back to the Future starring Michael J Fox and Christopher Lloyd. Wow, one classic after another, right? Grab that DeLorean and head back to 1955 with Marty McFly and watch how he fixes the future while trying to avoid wiping out his own existence. Let us know what you’re reading or watching this month!